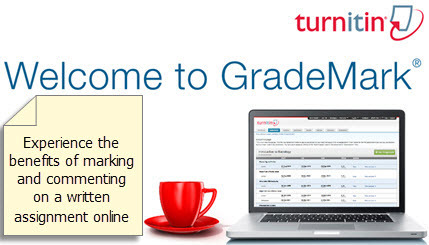 A note from Turnitin UK. Please be aware that students will still be able to submit essays within WebLearn; the submission of work and the generation of reports will be queued by WebLearn and will be processed as soon as Turnitin is available again. The outage only affects the services when accessed directly using a web browser. To ensure that services remain stable, particularly during high submission periods, this maintenance will include several hardware updates and performance improvements. When will services be unavailable? This blog already contains an entry on the national UK User Summit that was held in Newcastle on 19 October 2017. More education is needed to communicate what academic integrity actually means – for both staff and students. This lack of understanding represents a major reputational risk for individual institutions, awarding bodies and the HE sector as a whole. Contract cheating is a growing industry. 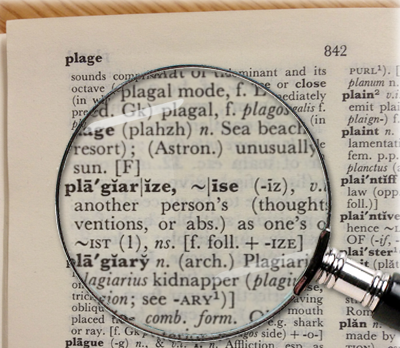 800–1,200 different websites have been identified as selling essays – there is sure to be more out there. The QAA, working in partnership with Turnitin, provided an overview of its latest policy to help HE institutions address contract cheating and essay mills. The Support and Consultation team in Academic IT Services (Technology-Enhanced Learning) is working closely with Turnitin and the UK higher education sector on these and many more aspects of promoting academic integrity. The Turnitin and iThenticate Review project aimed to find out if Oxford’s plagiarism screening and awareness tools (including Turnitin and iThenticate) continue to meet the needs of staff and students. A staff survey was conducted during September 2017. Details about the review, including a summary of survey findings and reasons for the recommendations, are available from the Turnitin and iThenticate Review web page. In the meantime, there is potential to enhance service provision, and to increase awareness across the University about Turnitin and iThenticate, and their intended purposes. IT Services recently ran a project to review the use of the University’s licences for Turnitin (to screen the coursework of registered Oxford students) and the sister product iThenticate (to screen personal statements and other materials submitted by prospective students). The finding of the review project is that the University should keep both services and review their respective product offerings over the coming two years. Turnitin is embarking on a major redesign of their underlying system architecture, and the University is considering a new virtual learning environment, which may affect integration with Turnitin. Both these activities introduce some uncertainty into the landscape. The project recommends that our Technology Enhanced Learning team should continue to consult with Turnitin about the University’s needs, and participate in the current sector-wide discussions. We will also increase awareness around the University about the two products and clarify their allowed usage according to the licence conditions. 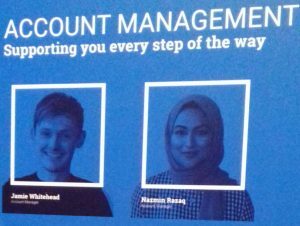 The annual Turnitin User Summit was held in Newcastle on 19 October 2017. As a result of recent corporate changes in the Turnitin organisation, there is a new USA executive management team: Marc Daubach (Chief Executive Officer), Ron Park (Chief Technology Officer) and Bill Loller (Head of Product Management). They have restructured the organisation with a view to improving efficiency and responsiveness. The team gave presentations outlining their new approach as a global company, their intention to engage more with the UK HE sector (through the Heads of eLearning Forum – HeLF), and plans for a forthcoming overhaul to the underlying technical architecture of Turnitin. Kerr Gardiner (formerly Head of Learning Technology & Media Production at the University of Glasgow) gave a presentation outlining seven themes that emerged from his recent consultation with 14 UK universities, including University of Oxford. Oxford’s Technology-Enhanced Learning (TEL) team continues to engage with Kerr, by completing a survey for HeLF members and participating in focus group activities. Our TEL team will also study the new report developed by the Quality Assurance Agency (QAA), to see how it may inform the University’s policies and practice. The report recommends that institutions should provide early information to students, engender a positive focus on academic integrity and consider blocking questionable websites. 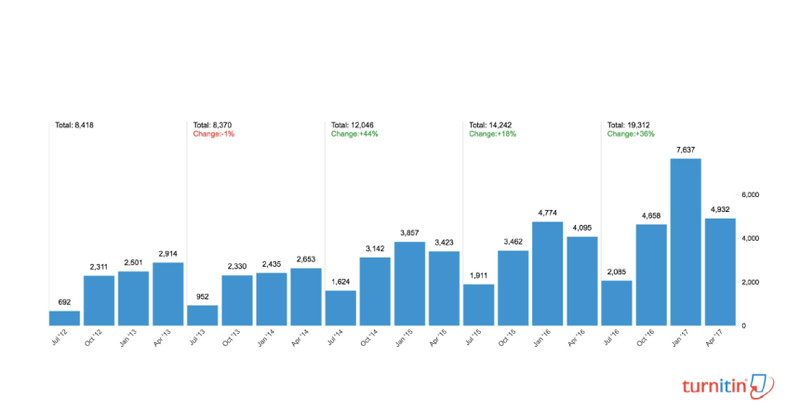 As a company, Turnitin appears to be putting more time and resources into improving customer support and reducing response times to queries from users. We have a dedicated account manager, Jamie Whitehead, who came and gave a presentation to our local Turnitin User Group earlier in 2017. Their help desk reports that response times (from a human help agent) are now 30 minutes instead of the previous 5 hours. Their product development team are working on enhancements to the Similarity Report, checking the originality of computer code, and how to use machine learning and forensic linguistics to detect instances of ‘contract cheating’ – that is, where a student has contracted someone to write their assignment for them. Universities should not ignore possible plagiarism that might be taking place amongst their students. In 2015, the Sydney Morning Herald uncovered a major case of contract cheating and the same newspaper continues to monitor and report on the issue. Turnitin is working on a completely new cloud platform that should improve speed, power, flexibility, accessibility and security. The key enabler is ‘redwood architecture’ and active development on the platform will begin in January 2018. The new system will offer a brand new version of Peer Review and will enable what the UK sector has been requesting for a long time: multi-actor workflows including double marking and double-blind marking. Oxford University has offered to talk with Turnitin’s researchers, to discuss our needs and processes, given the fact that we use both Turnitin and the sister product (iThenticate) – Turnitin is keen to understand more about this unique use case and to consider our needs in their new version. During this consultation, they will show us some of their new prototypes currently under development. 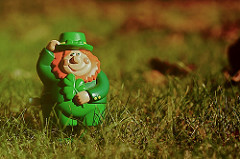 Complete the staff survey and have a chance to win an Amazon voucher! All staff are invited to complete a survey on the plagiarism screening and awareness tools Turnitin and iThenticate, whether or not you have a teaching role or currently make use of such tools. Survey responses will be used to help to assess whether such tools continue to meet the needs of staff and students. The survey should take from 5 to 15 minutes to complete, and responses will be treated in confidence. At the end of the survey, you will have the option to contribute further to the review of plagiarism awareness tools by offering to participate in an interview. You can also enter a draw for one of four £25 Amazon vouchers. For further information or if you have any questions, please contact edu-it@it.ox.ac.uk. 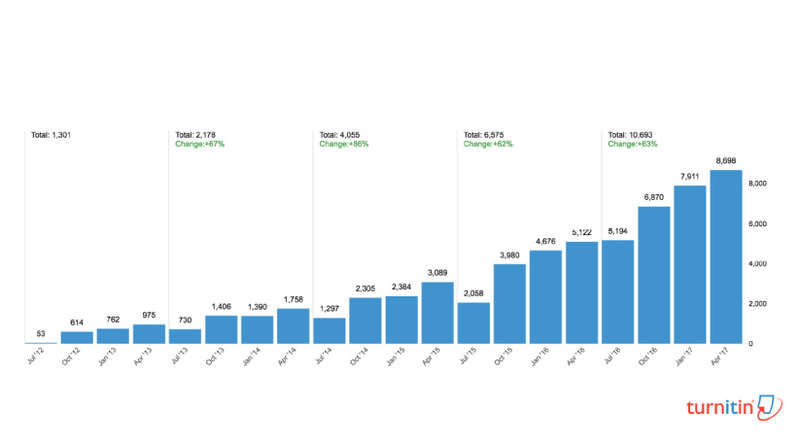 Our account manager at Turnitin has just sent an interesting graph which show the growth in use of Turnitin at Oxford over the last five years. In your WebLearn site, create an assignment using the Assignments tool, and select the Turnitin integration (See our step-by-step guide). When students submit their assignment in WebLearn, Turnitin will generate an Originality Report which is returned into the WebLearn tool, for viewing by the student and the tutor. The new version of Turnitin (called Feedback Studio) now offers seamless integration of originality checking, and electronic grading and commenting on a piece of student work (what was previously called ‘Grademark’). As a tutor, you can build your own library of frequently-used ‘quickmarks’ (for easy click and drag onto the document). Bubble comments can be inserted (and saved into your quickmark library, if desired). You can also record an overall voice comment to provide personalised feedback to a student. The students will be able to access their Turnitin report as soon as it has been generated (if you allowed this feature when creating the assignment). This is clearly advisable in the formative sense, in order to enhance student learning about acceptable academic writing practice. Note that students will not see the Turnitin feedback comments until after the closing date of the WebLearn assignment. This allows you to finish commenting on (or marking) all the assignments before releasing the feedback (and marks) to the students. 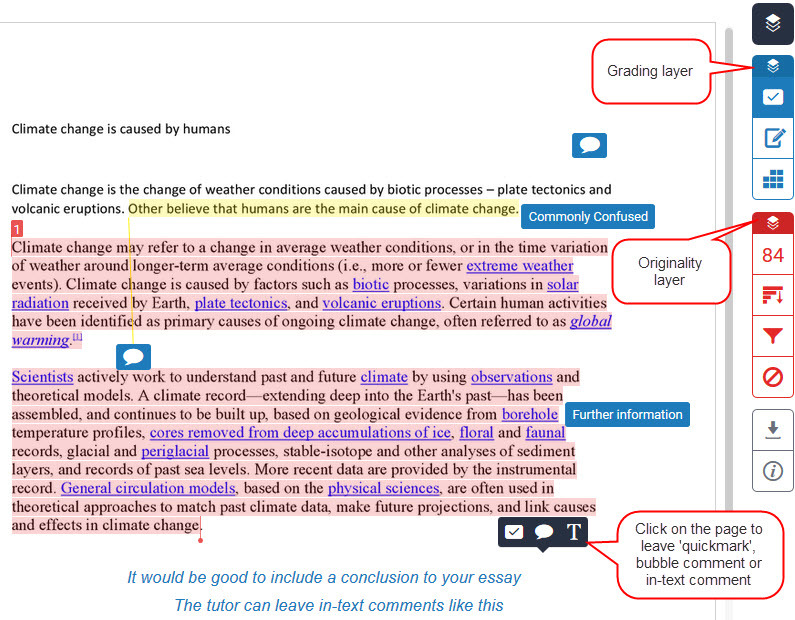 Thereafter, when students access their report via WebLearn, they will see both the originality layer and the comments layer (similar to the tutor view at the top of this posting). 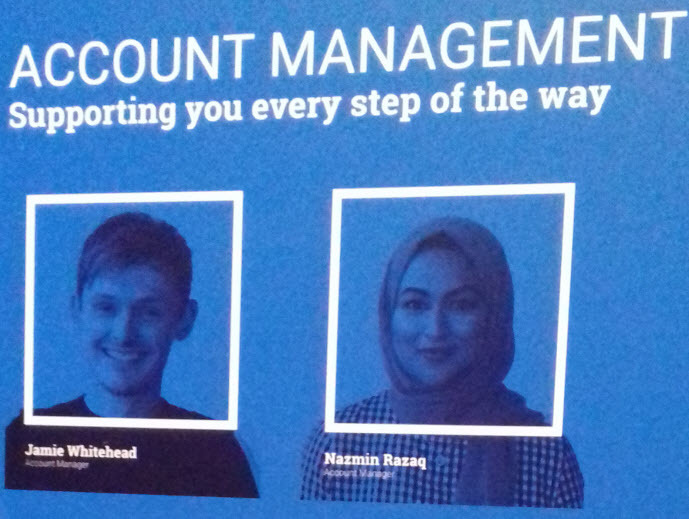 We are delighted that our account manager at TurnitinUK (Jamie Whitehead) will join us at next week’s meeting of the Oxford Turnitin User Group. We will also hear from Amanda Tattersall (Exams and Assessment) and Adam Marshall (WebLearn and Turnitin service manager) about the latest processes at Oxford for anonymous online submissions using WebLearn. Jamie will demonstrate the much-improved new version of Turnitin called Feedback Studio, as well as the use of Turnitin on a tablet for originality checking and GradeMark. The latter is now integrated into Feedback Studio, and includes features such as electronic commenting, audio feedback and marking memoranda (‘rubrics’), to enable student-oriented feedback in improving academic writing skills. Please inform your colleagues about this meeting, which is bound to be informative and beneficial for academics, administrators and examiners.